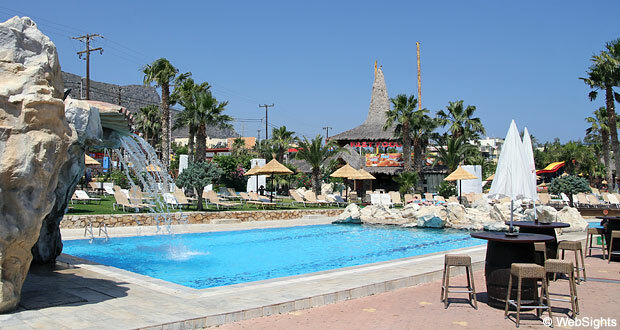 Star Beach is a combination of fine beaches and a small water park. 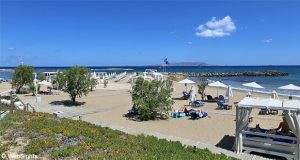 It is located in the south-eastern part of the holiday resort Hersonissos. 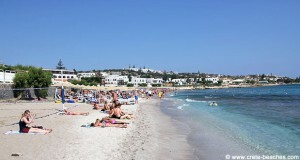 There are several beaches in the Star Beach area and they are all lovely sand beaches with shallow water. 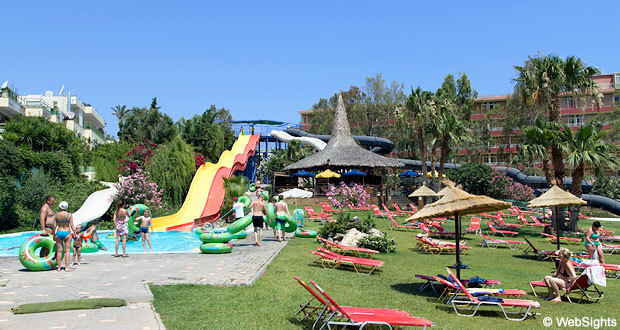 The first beach is located right in front of the area with water slides. This is only the third-largest of the beaches, but in turn it is the one that has the best protection against waves. There is a lovely path leading to the next beaches. Behind these larger beaches there are several pools with water slides etc. for small children. There are also play areas. 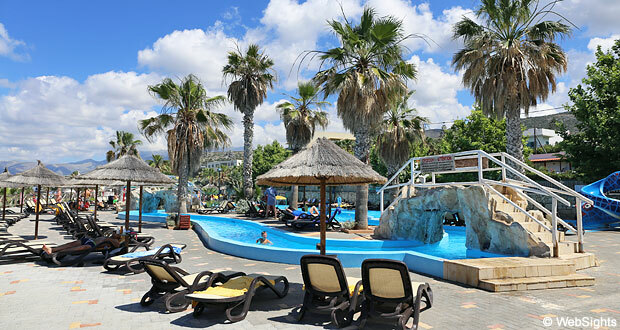 There is free access to Star Beach, but it costs money to use the sun lounges at the beach and the pool areas. 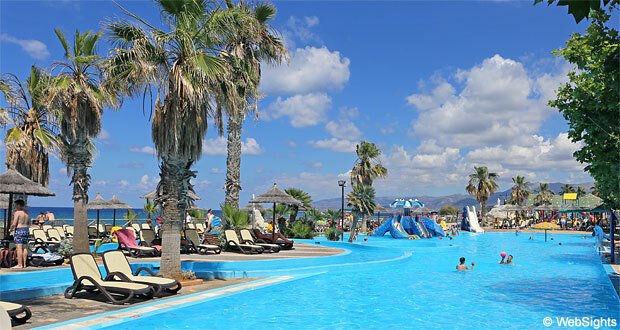 Naturally, the different activities, including the water slides, also cost money. Star Beach is very child-friendly. 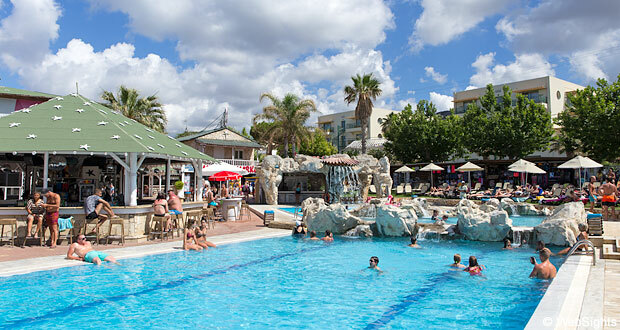 This both applies to the beaches and the water park, which have activities for young and a bit older children. 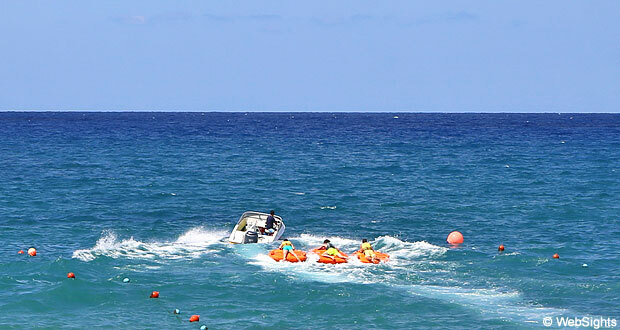 Star Beach offers almost all types of water sports activities, such as jet skis, banana boat, ringos, water skis and parasailing. 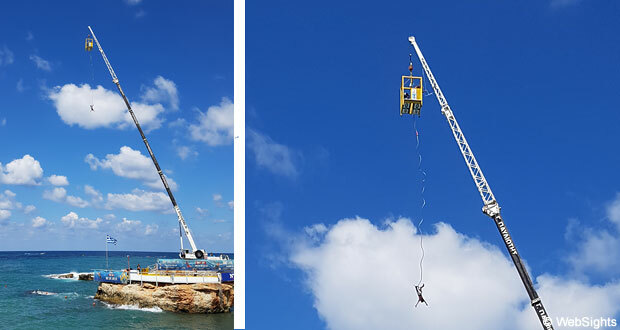 It is even possible to go bungee jumping over the water from a big crane! 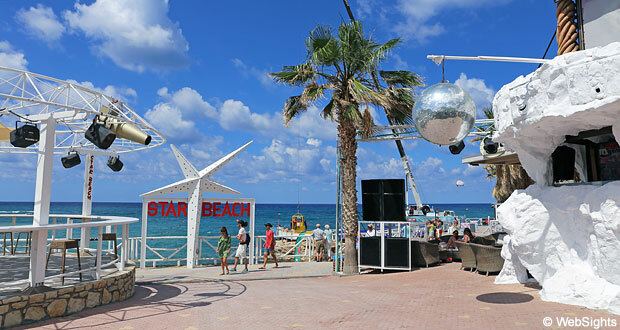 There are several restaurants, cafeterias and bars at Star Beach. Here they serve simple meals such as burgers, sandwiches etc. 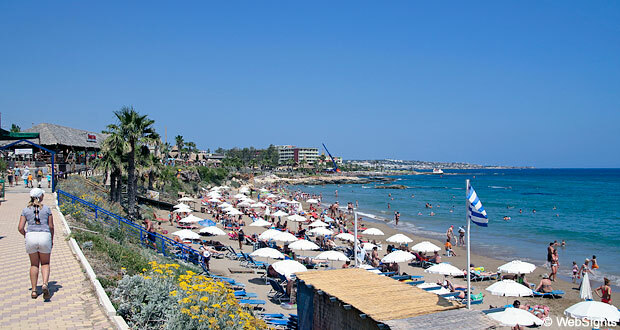 Hersonissos is a large and busy holiday resort with many small and big hotels. In the 1 km long main street, you’ll find all kinds of shops, including designer clothes, jewellery, watches and a shop that only sells official Formula 1 merchandise.